Trumbo, directed by Jay Roach (The Campaign), is an historical drama based off of a book written by Bruce Cook. The movie stars Bryan Cranston, Diane Lane, Helen Mirren, James DuMont, Alan Tudyk, Louis C.K., Adewale Akinnuoye-Agbaje, Elle Fanning, and John Goodman. 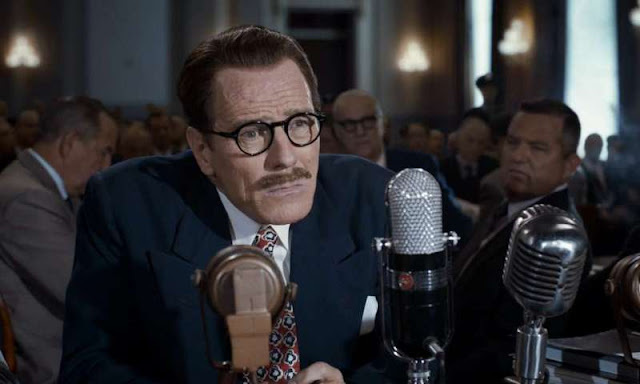 During the heyday of 1940's Hollywood, Dalton Trumbo was the most prolific and prominent screen writer around. That is until the U.S. government started going after anyone in the movie business who cared to identify themselves as members of the communist party. Up until that time, it was no big deal but, with the onset of the cold war, party affiliation took on a new, heightened level of importance and a so called black list was created to single out folks who were perceived to be working against American values.Of course, this did not stop Mr. Trumbo as he began writing and selling screenplays under false names while also fighting against the system that would see him put in jail and even worse if it had its way. It's very interesting how social and political topics from previous decades can all of a sudden seem more relevant than ever and Trumbo's story really brings a lot of things to light that people should be looking at today. Jay Roach does a fine job of expanding on his proven comedic talents as a director (Austin Powers, Meet the Parents) by creating a film that tells a very important and dramatic story while still infusing it with an honest and provocative sense of humor. 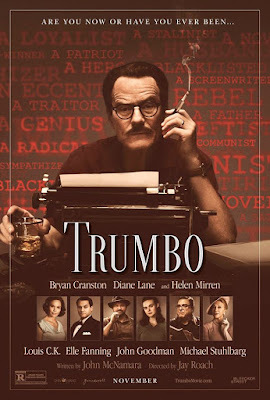 The unwarranted blacklisting of suspected communists is a subject that rings true in today's political and social climate and this movie really draws out some interesting parallels to what we are dealing with today in the age of real time news and social media. 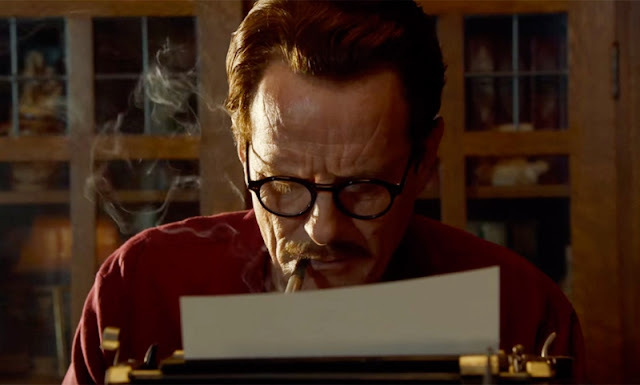 As interesting as the story is, the quality of the production really falls on the shoulders of its leading man, Mr. Bryan Cranston, who has proven over the last several years that he is a force to be reckoned with as a dramatic actor. He pretty much owns the entire movie with his take on the man who literally changed Hollywood and was willing to take on the United States government in an effort to hold true to his beliefs. This will rank as one of the better performances of the year which is only made better by an outstanding supporting cast that includes Diane Lane, Helen Mirren, Alan Tudyk, Louis C.K., Elle Faning, and John Goodman. 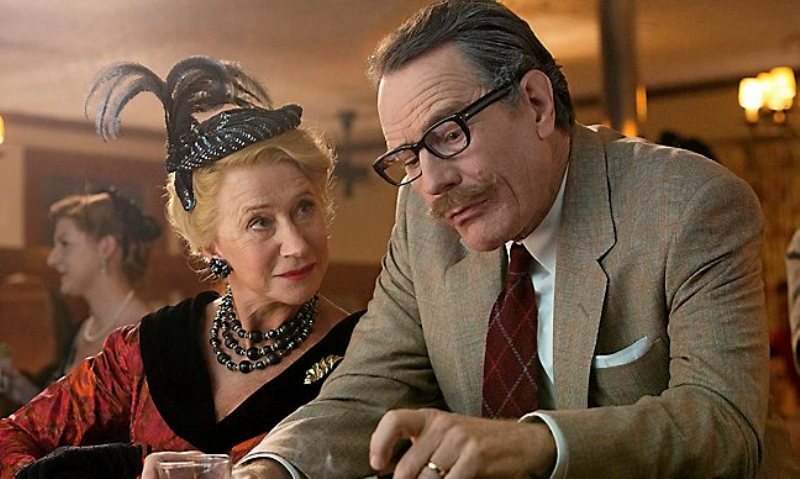 Trumbo is a movie worth seeing not just because it is an entertaining and very well put together piece of film making, but because it is also a very important film. The brilliant dialog and comedic elements really help to balance out what could otherwise have been a very heavy handed effort and the end result is very enjoyable.